They’ve all but disappeared from America’s highways, but mom-and-pop motor courts still live on in Vacationland. In the early days of the Great Depression, Freeport lumberman Ernest Marstaller made the best of a bad situation. He allowed a contractor to work off a debt by building 10 cabins on his property just north of the village. With that, Marstaller became Freeport’s newest courtier, joining several local business owners who had already responded to America’s burgeoning love affair with auto touring by offering a new kind of lodging: furnished, drive-up-to-the-door cabins that were a few steps up from camping and a few rungs shy of a hotel. You who stop here should forget your troubles and griefs, your feuds and hates. Think of the trees here. They have looked skyward for 150 years — in sunshine, hail, snow, wind, rain, thunderstorms, heat, and cold. It was that combination of these elements that made them grow. Hard knocks, hard luck, pain, and tears are like the storms. May your stay at the Maine Idyll be as a day of sunshine — new courage, friendship, and hope. That was 87 years ago. L.L.Bean is still there, bigger and more a tourist magnet than ever. 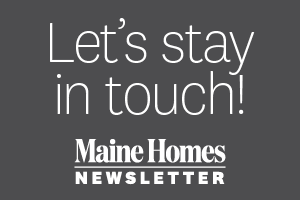 So is Maine Idyll, its founder’s uplifting message now posted in 20 tidy white-clapboarded cottages that look like oversized sugar cubes scattered among the trees. Little else is the same. The farm field that once stretched out behind the Idyll is gone, erased by Interstate 295. After that stretch of highway (then I-95) was built in the mid-’80s, sleepy Freeport transitioned at a breakneck pace into a trafficky, shopping mecca. Bypassed by the interstate and upstaged by posh new inns, B&Bs, and chain hotels, the motor courts that peppered Route 1 — places like the 1920s Half Moon Motor Court and the 1940s Dutch Village Motel — folded one by one. Today, Maine Idyll, its vintage neon sign lighting up the night, is the last cottage court standing in Freeport and one of the oldest in Maine. 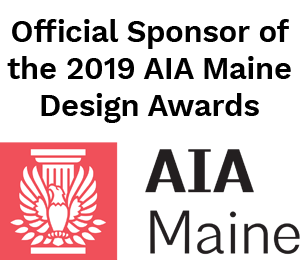 "In coming to Maine, people want to stay in a place they can’t find everywhere else. What we offer is rare in this area." 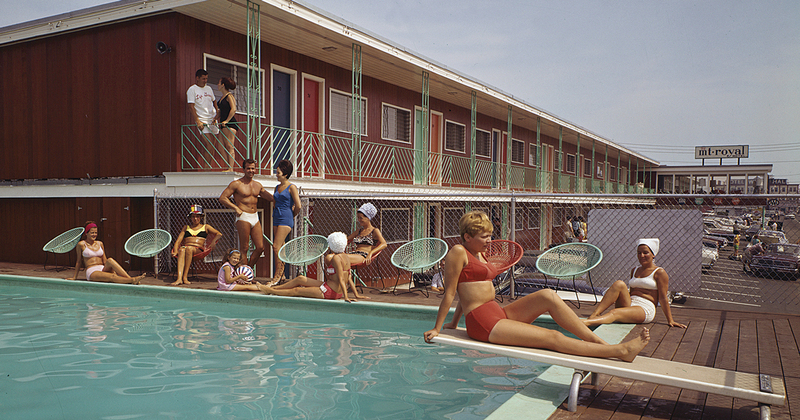 It’s rare pretty much everywhere in the U.S. As Mark Okrant writes in No Vacancy: The Rise, Demise, and Reprise of America’s Motels, the number of roadside cottage courts and their descendants, mom-and-pop motels, plummeted nationwide from a peak of 61,000 in 1964 to just 16,000 in 2012. But in some pockets of Maine, motor-court culture lives on, most notably in Old Orchard Beach, along Route 3 in Bar Harbor, and along Route 1 from Wells to Ogunquit and from Lincolnville to Bucksport. Some of these lodges have been around long enough that historians are weighing their cultural significance as the original manifestations of Vacationland, the license-plate slogan adopted in 1936. And there are hints of a renaissance for these simple shelters as a new generation of courtiers (no one uses the term anymore) finds value in their retro charm and the conviviality of their shared outdoor spaces. Maine road builders scrambled to keep up with motorists’ wanderlust. That drive from Boston to Bar Harbor? It took 14 hours in 1931, the year Ernest Marstellar built his first cabins. Between 1914 and 1935, the state spent $134 million building 1,430 miles of highways and bridges. As infrastructure improved, Shettleworth says, “the whole character of tourism for the middle class changed. Instead of going to one place and staying, accommodations became a transient experience.” He believes tourist-home owners introduced the first cottage courts to Maine soon after World War I as a way to expand their offerings. The fanciest by far was Scarborough’s Danish Village, hotelier Henry Rines’ ode to the medieval town of Ribe. Designed by Boston architect Peter Holdensen and opened in 1929, the Danish Village had 100 stucco cottages arranged like row houses around a landscaped courtyard and a red-tile-roofed “town hall” restaurant, which was staffed by people wearing period costumes. “It was absolutely charming,” remembers Shettleworth, 70, whose parents would take him for drives on the resort’s winding, narrow roads when he was a child in the 1950s. 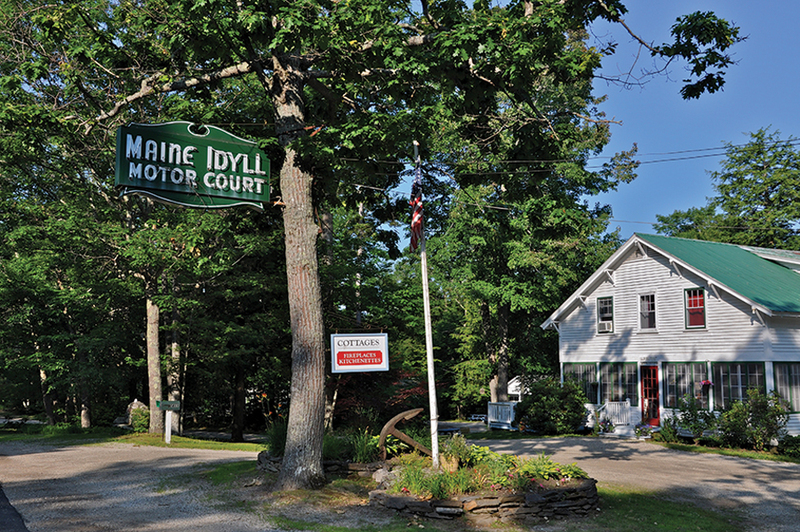 Motor-court culture flourishes in parts of southern Maine, the midcoast, and bar harbor. With its attached cottages, the Danish Village was a forerunner to the motel, which put the drive-up-to-your-room concept under one roof. 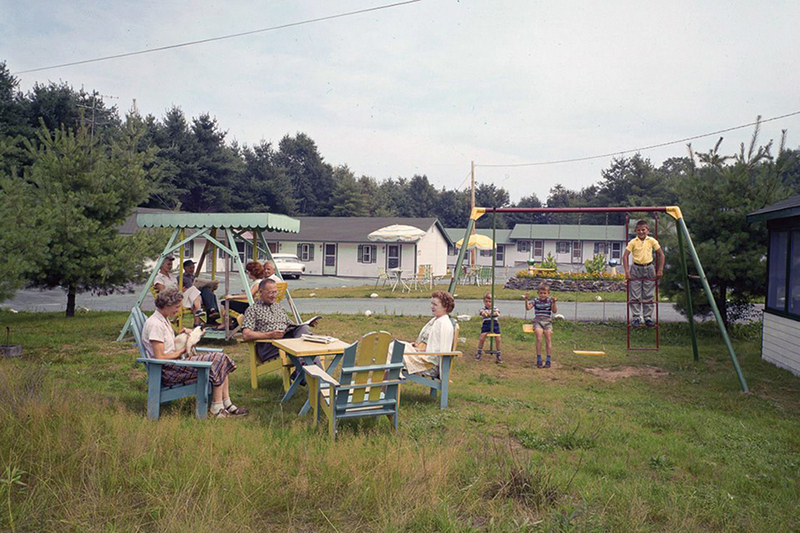 Modest and functional, family-owned motels sprouted like mushrooms on Maine roadsides in the 1950s and 1960s as an expanding federal highway system encouraged ever more middle-class Americans to roam. Bar Harbor in particular underwent a dramatic cultural shift after the Great Fires of 1947 destroyed dozens of summer mansions, and motor courts sprang up in their wake. As for the Danish Village, its glory days were already behind it by the 1950s. Pressed into service as shipyard worker housing during World War II, it never regained its popularity and was demolished in 1970, as lodging trends tilted toward the reassuring predictability (and economy) of freeway-exit chain hotels. So why have some Maine motor courts proven resilient against the forces of generica? 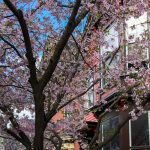 Owners suggest a combination of factors, beginning with the simple fact that there’s a dearth of rooms from summer to fall in tourtist destinations like Bar Harbor. “There’s still a nice demand,” says David Bowden, who owns the Edgewater Motel & Cottages founded by his grandmother in the late 1930s on land that’s been in his family since the 1790s. With 11 cottages and 12 motel units on the shore of Salisbury Cove, Edgewater has weathered the proliferation of weekly vacation rentals, the rise of B&Bs, and the arrival of national chains. Bowden expects it’ll also weather the latest trend: Airbnbs. Edgewater has weathered the proliferation of weekly rentals, the rise of B&Bs, and the arrival of national chains. It’s a similar story at nearby Hanscom’s Motel and Cottages on Route 3. “Our guests have been coming for years and years,” owner Mark Hanscom says. Some of them, in fact, first visited as children in the 1950s when the motor court was new, and Hanscom’s grandparents, Elwood and Emily, checked them in. The now-defunct Riverside Motel in Augusta. Aladdin Color Inc / Contributor. Vintage motels in other parts of the country are on the National Register of Historic Places, but so far none in Maine have been nominated. 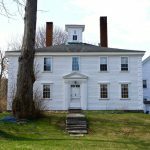 The Maine Historic Preservation Commission is interested in them though, says director Kirk Mohney, and a Route 3 architectural survey identified four eligible properties: Hanscom’s, The Colony, Hinckley’s Dreamwood Cottages, and Hutchins Mountain View Cottages. “We haven’t moved to the next level to develop a statement for how to evaluate the resource,” Mohney said. “We want to think about an overarching concept, rather than consider them one by one.” A National Register listing recognizes a property’s historic value and makes it eligible for tax credits for rehabilitation work, but it doesn’t guarantee preservation. The property I own in Lincolnville, Bay Leaf Cottages and Motel, has had rentsl cottages for over 100 years and the motel (made uniquely from 9 cottages) for close to 40 years. It is definitely vintage Maine and we include historic photos of Lincolnville in each room. It would’ve been nice if you included a list of some of these places to stay at!